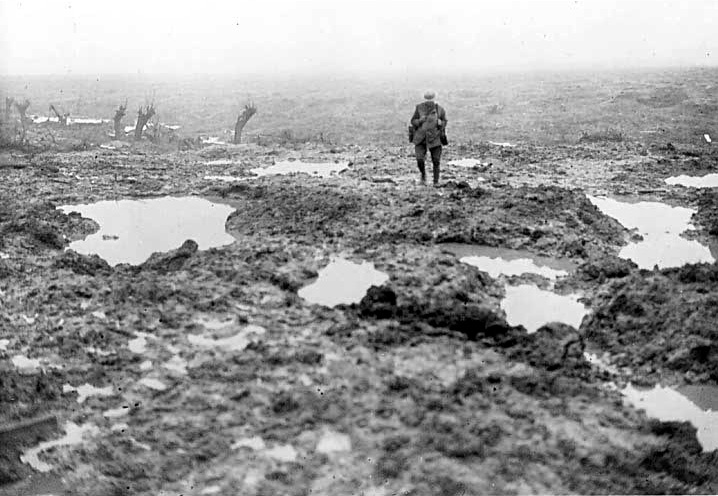 "I died in hell - (they called it Passchendaele)"
The battle of Passchendaele began at 03:50 on July 31, 1917, with a huge barrage of Allied artillery. The bombardment made use of 3,000 guns which expended four and a quarter million shells. 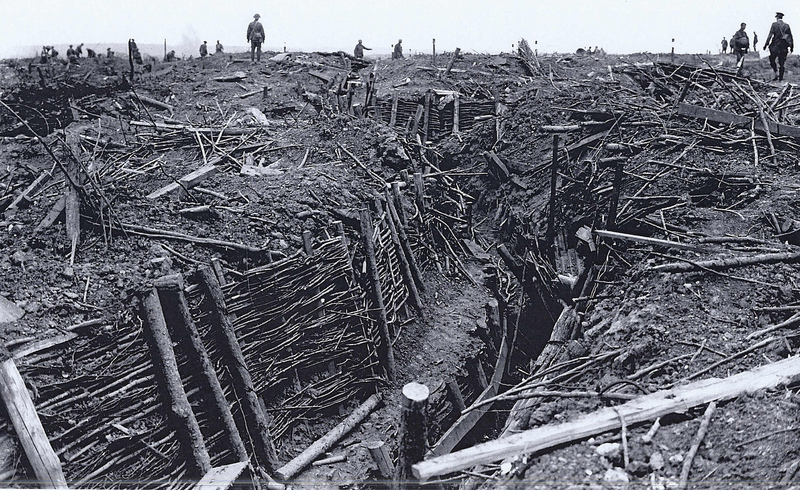 This offensive both warned the Germans of the coming attack but it also turned the battlefield into a mess of craters. With unusually heavy rains, the entire area was transformed into a sea of mud. The soldiers slept in the mud, crawled in the mud, fought in the mud, and drowned in the mud. 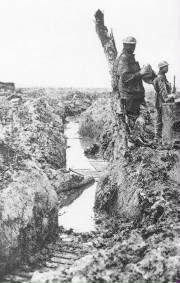 The mud also clogged rifles, ruined food, and rendered artillery useless. The battle slogged on for months with neither side making progress due to the inhospitable conditions. In the face of these horrible circumstances Canadian soldiers performed exceptionally and, in the end, were instrumental in securing victory. Through the 3 months of fighting the Canadians established themselves as an elite fighting Corp and received honours reflecting that. In the end, 9 soldiers received the Victoria Cross in recognition of their outstanding effort at Passchendaele. “the blindest slaughter of a blind war” that was the battle of Passchendaele brought the final human cost of the conflict in Flanders to six hundred thousand killed and one and a half million wounded. 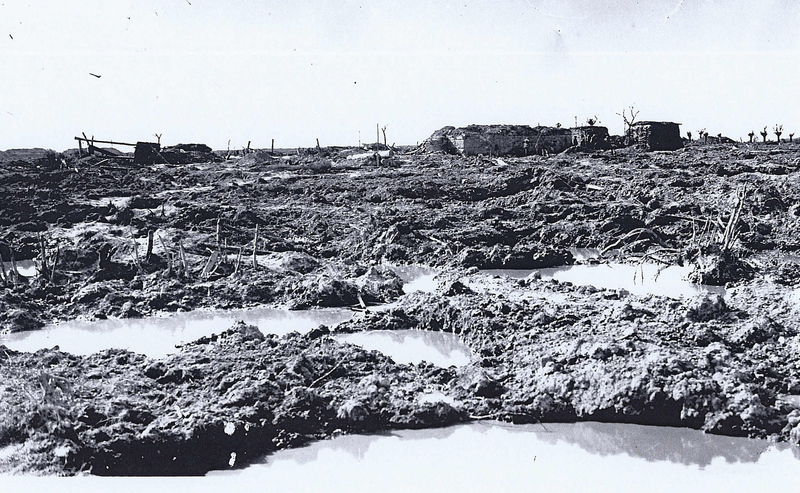 But ultimately, when the heap of rubble that had once been the town of Passchendaele was eventually captured by the allies on the 7th November 1917, it was occupied for a few hours, then the troops were withdrawn. General Haig reported that “the campaign had served its purpose." The salient had been re-widened by several kilometres. "In proud and glorious memory" ... that's my due. I suffered anguish that he's never guessed. 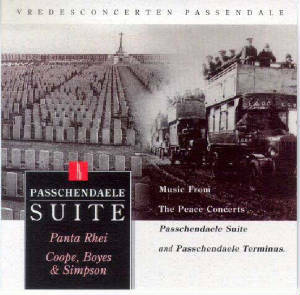 of the village of Passchendaele. through to the Belgian coast. low never to be hurt again. horror of war are now seldom heard."